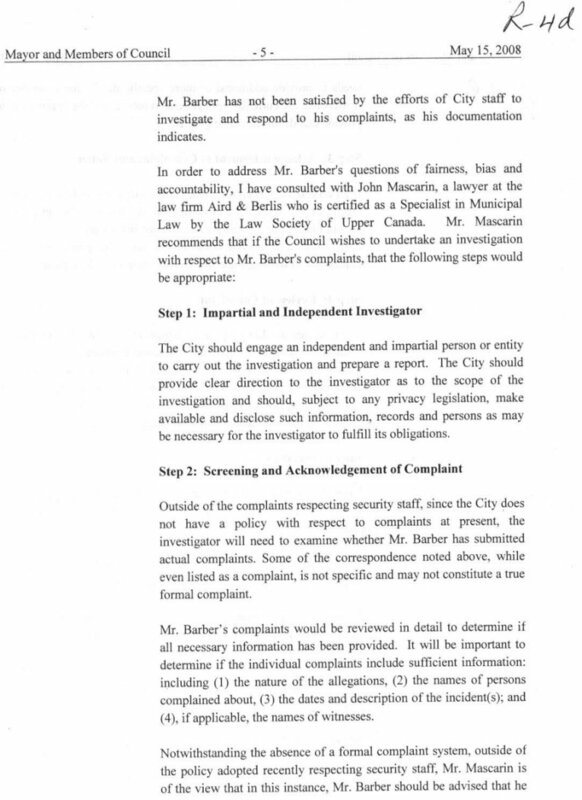 This is the Corporate Report for the special City By-law to deal with my complaints about City staff and politicians that I forced, being not such a fool be believe that the City lawyer could ever be a fair & unbias judge of my complaints. 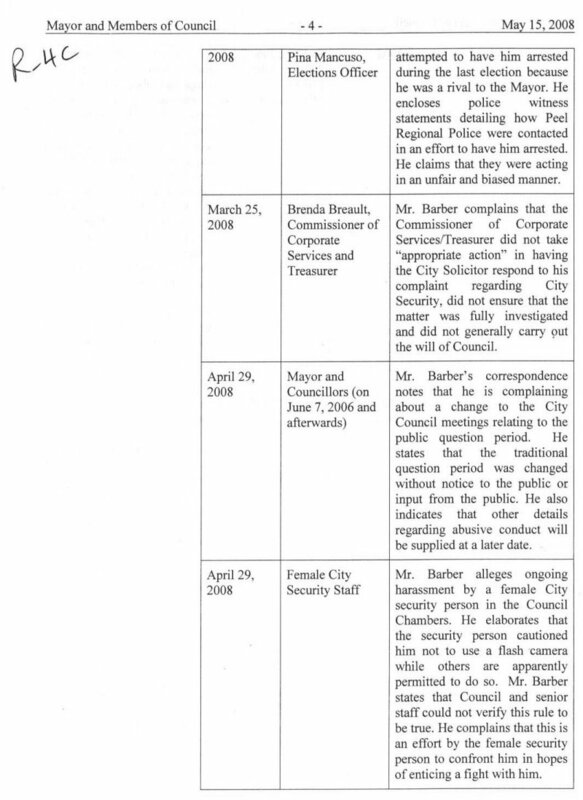 And making it clear to Council that evidence was edited and destroyed by City security involving a criminal case - in such a way as to benefit City security staff and politicians. Also, putting things in the Additional Agenda is a good way for most people to miss them as the Additional Agenda comes out right before the meeting and few have time to plan regarding newly noted items. 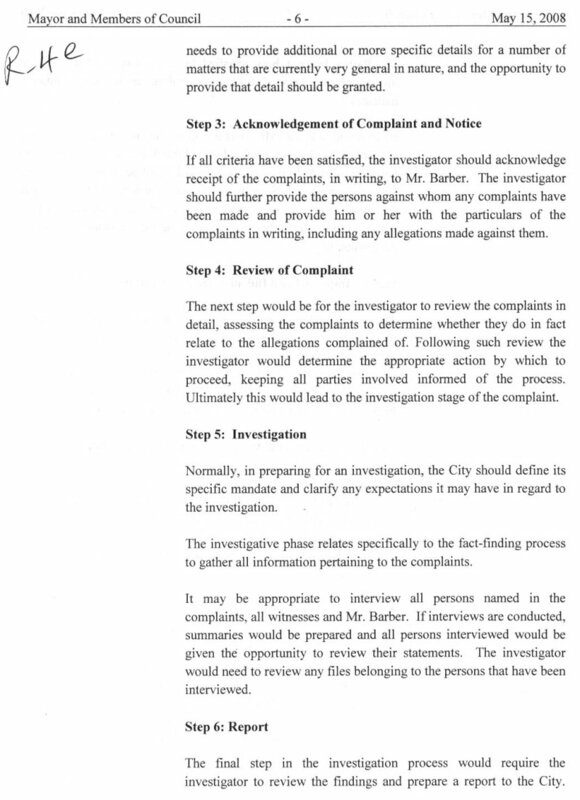 Click here for the full list of letters, events and other details about the complaints and how the City is mishandling them. 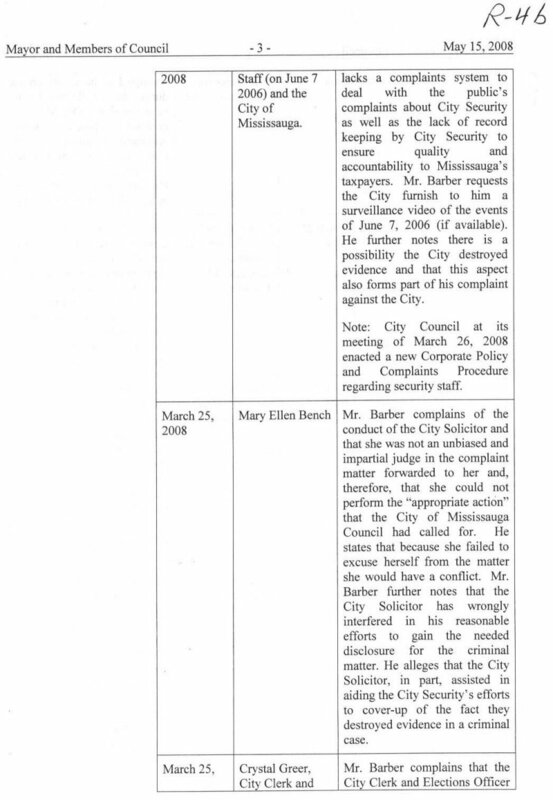 After all, having the proof that the City of Mississauga's security edited and destroyed evidence in a criminal case is very special, indeed! 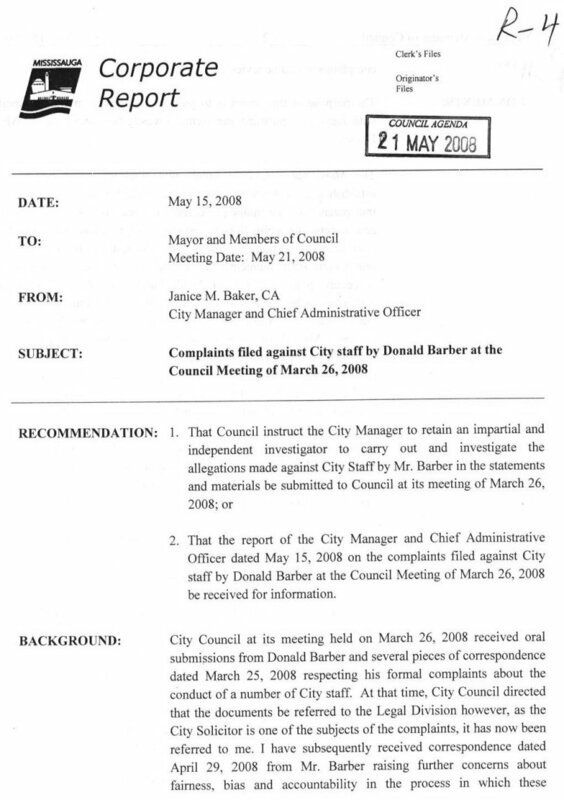 Then there is the strange and mysterious endorsement that City Council actually VOTED on, after coming out of an in-camera meeting for Janice Baker! 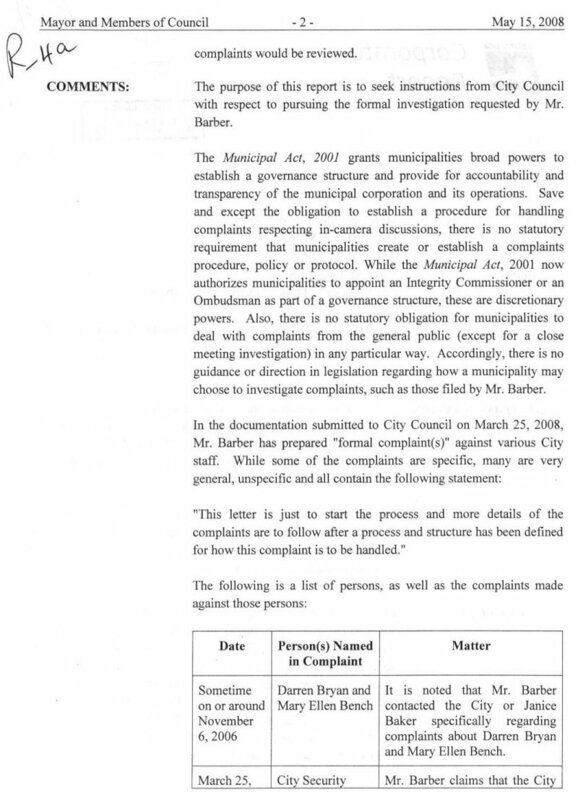 The same Janice Baker, City Manager and Chief Administrative Officer, who wrote the above Corporate Report AND - get this - was named Canada's Most Powerful Women (in 2007 & 2005), along with the Mayor! 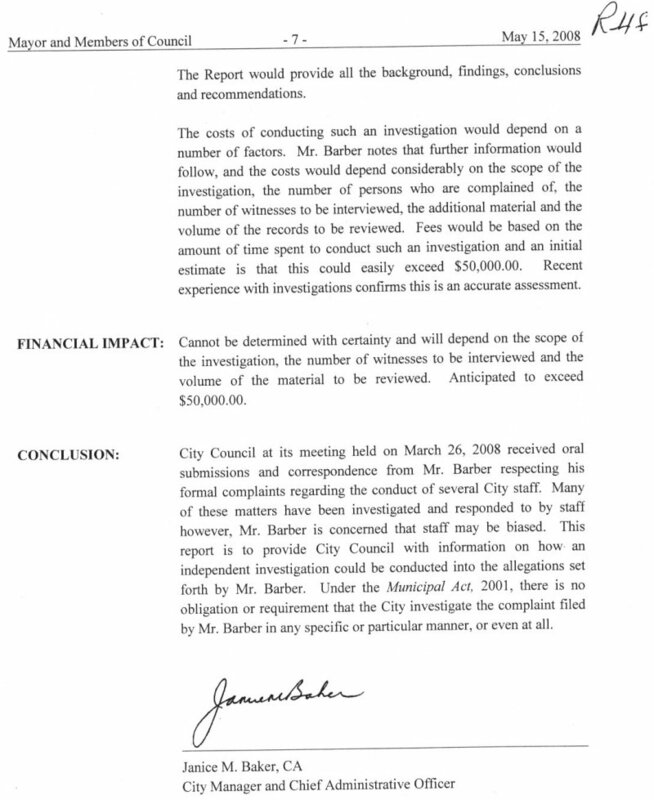 For right now the pictures of the City's own agenda are presented - the full text will be added later. 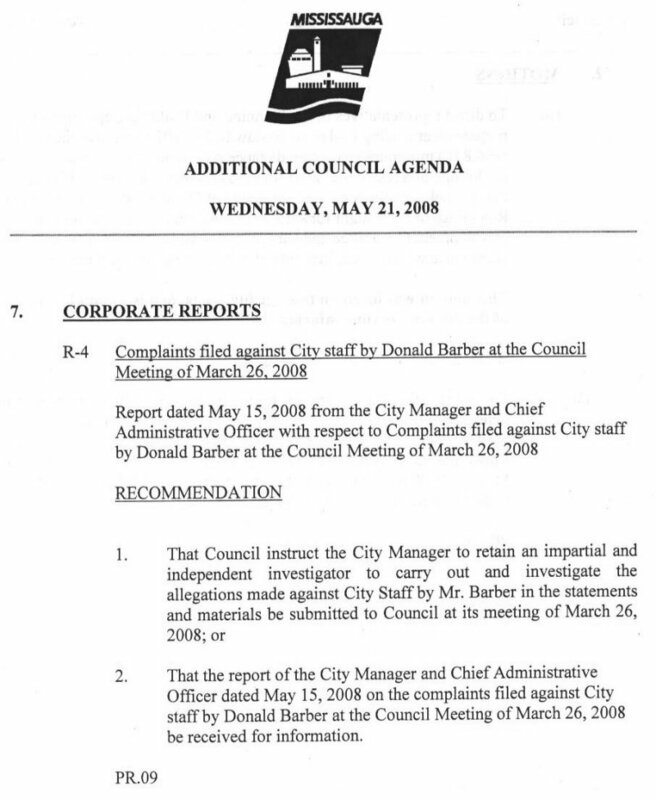 City staff by Donald Barber at the Council Meeting of March 26, 2008 be received for information.